At Croan we will host just 1 wedding PER YEAR so you can be sure that yours will be a very special ocassion for us, as well as for you. The timetable for your event is set by you! Details of the cost for your wedding at Croan are given here. 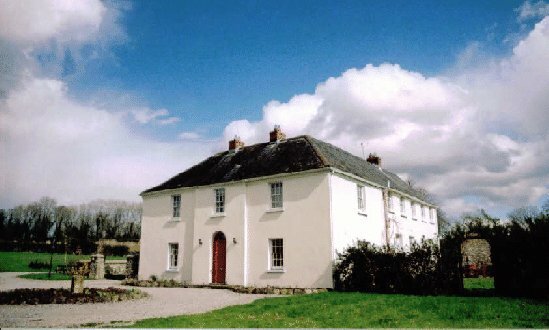 Croan House enjoys a tranquil setting, facing south towards wooded hills and Mount Leinster. The house is approached along a stunning Lime flanked avenue. There are flower-filled gardens, a pond with ornamental ducks and stunning vistas. Only 20 minutes from Kilkenny and Waterford and just 2 hours from Dublin, Croan will provide the perfect ambiance for your perfect occasion. There is plenty of parking for your wedding guests and accommodation can be arranged in our cottages. For those not staying at Croan Cottages, there is a variety of accommodation available in the area in specially selected Hotels, guest houses and B&Bs. A Country House Wedding Venue like Croan offers a beautiful, intimate and unique setting for your special day. Whether you are having a civil ceremony and reception or just a wedding reception party, we can accommodate all your needs. The impressive entrance avenue, walled garden, large lawns and views provide the perfect backdrop to your big day. 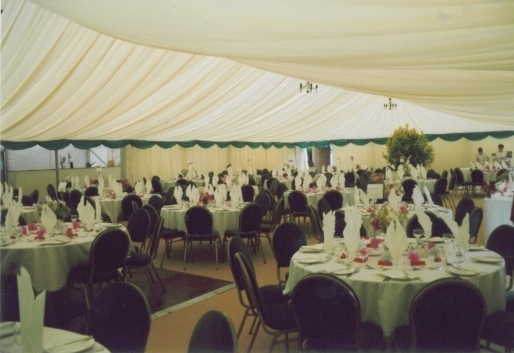 The wedding marquees we recommend are provided by http://www.eventus.ie/ and Byrne Marquees in Carlow and can accomodate wedding parties ranging from 60 to 120 guests. 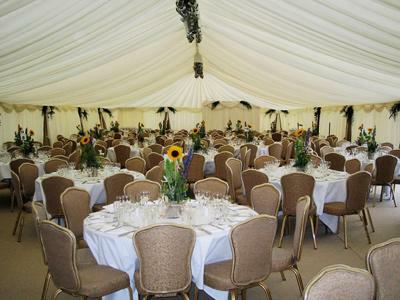 The marquees can be fitted out to suit your taste and budget, and can come with silk lining, windows, carpeted flooring, polished wooden dance floor and band staging. Further refinements can be added to the marquee including chandeliers, a sound system, floral decoration and much much more. When it comes to food, the choice and timetable are yours to set. From a tasty buffet to a formal four-course dinner and drinks receptions to evening snacks, all can be provided for your guests to ensure that your big day is a memorable and enjoyable one for your guests. One of the greatest advantages to choosing an outdoor wedding venus such as Croan is that you have complete control over the size and layout of your venue as well as complete control over the catering for your wedding dinner. We would be happy to help you go through the options available for your wedding reception and are delighted to recommend Creative Catering Ltd., a local catering company who specialise in wedding catering. 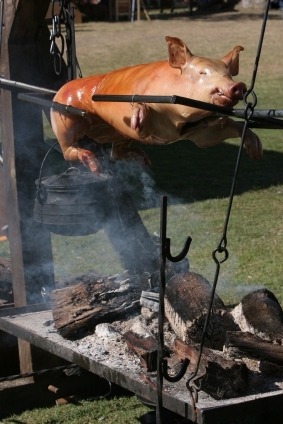 Their website, which shows sample menus and pricing is available here: wedding catering. Using a privately owned Country House wedding venue such as Croan means that you can provide your own alcohol without a corkage charge and you can have the menu of your choice - anything from a formal banquet to a finger buffet. This website is intended to give you a brief flacour of what it might be like to host your wedding at Croan House. To discuss your specific requirements and to work out a detailed costing, please get in touch with us. The cost to you for the exclusive use of the grounds of Croan House and Cottages (including accommodation for up to 26 people) will be € 8,000. 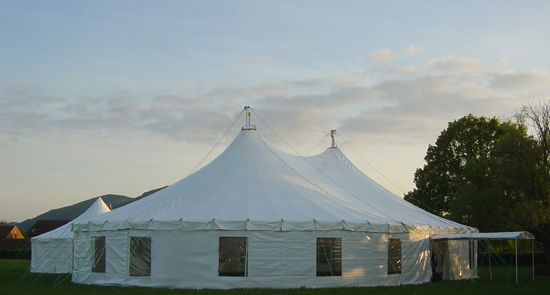 Your Marquee, services, and furniture will cost from € 4,000 and catering costs are typically from € 40 per person. 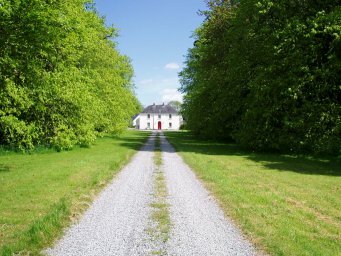 Exclusive use of the property for a weekend or mid-week period. Marquee with flooring, silk lining and lighting. Tables chairs, crockery, cutlery and linen. However, these prices are for illustration purposes only. Please contact us to discuss your exact requirements so that we may organise a truly special event to suit your budget. For weddings outside of these dates, please call us to discuss. Croan House and Cottages, Kilkenny. If you are hoping to have a wedding in a stunning location and without the rigid formality of a Hotel wedding, then Croan may be the place for you. 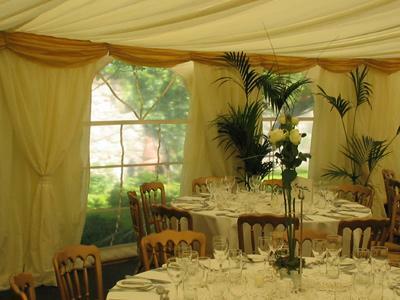 From a small intimite wedding to a marquee wedding with up to 120 guests we can accommodate your particular requirements. Beautiful gardens including a 200 year old walled kitchen garden.